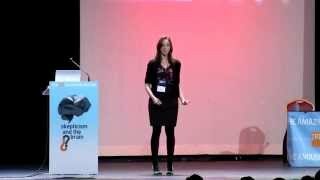 Julia Galef is President and Co-Founder of the Center for Applied Rationality, an organization teaching cognitive science-based techniques for effective decision making. She also serves on the board of directors of the New York City Skeptics, a non-profit organization devoted to promoting critical thinking and science education, and co-hosts their official podcast, Rationally Speaking along with Massimo Piggliuci. Galef has written for Scientific American, Religion Dispatches, Rationally Speaking, as well as her own Measure of Doubt blog and has been featured in Forbes among other publications.